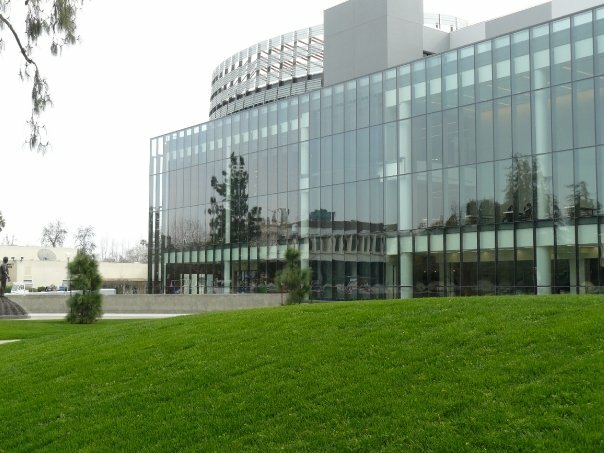 The Library does provide information on how to lower the cost of classroom materials for students by offering faculty a variety of low-cost and no-cost educational resources, such as Flat World Knowledge and MERLOT. Other resources include ebooks, digital textbooks, open courseware, publishers' repositories and the book rental program at the bookstore. Here are some resources to help you get started selecting and creating low-cost or free alternatives to "traditional" textbooks. ebrary - The library provides access to ebrary, where you can find free ebooks to use as course textbooks or supplemental readings.Compatible with: Nook, Kindle, Android, iPad, iPhone, iPod Touch. ACLS Humanities Ebook Project - A collection of full-text scholarly humanities titles offered in collaboration with twenty learned societies, over 100 contributing publishers, and librarians at the University of Michigan’s Scholarly Publishing Office. Compatible with: standard web browsers, Android, Kindle, iPad, iPhone, iPod Touch. Gale Virtual Reference Library - A collection of reference materials from various publishers. Safari Tech Books Online - A library of books on information technology, digitized and made available by Safari Tech Books Online in conjunction with the original publishers. Opposing Viewpoints in Context - The award-winning Opposing Viewpoints series from Greenhaven Press - integrated with the best multimedia available today. Updated daily. Gale Virtual Reference Library - A database of encyclopedias, almanacs, and specialized reference sources for multidisciplinary research; titles are subscribed to individually by the Madden Library. 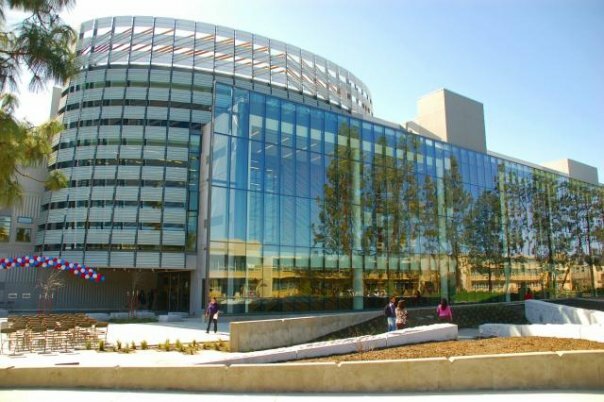 The library subscribes to hundreds of databases that as a Fresno State faculty and students, it's free to use/access. If you don't know where or how to search please contact your librarian liaisons. Library E-journals - Search and browse journal titles available for free to Fresno State faculty and students in the library. Embedded librarians facilitate student research and use of library resources during the entire course or just when needed. We can work with you a little or a lot, whatever way best meets your needs. A permalink is a web address or url that will consistently (will not disappear) point to a specific information source such as an ebook or article. A permalink may also be called a stable link, durable link, persistent link, permanent link or document link, depending on the resource. Why can't I just copy the URL in my browser's address bar? Web addresses (URLs) that appear in the address bar of your web browser when you search the library's subscription databases usually contain dynamically generated session-based or search-based information that will not work when copied and used at a later time. Why would I use a permalink rather than just upload the article into Blackboard, Google docs, faculty webpages, email or elsewhere? You may be in violation of Copyright & Fair Use or license restrictions if you post content without appropriate authorization or permission. Using permalinks is the preferred option. 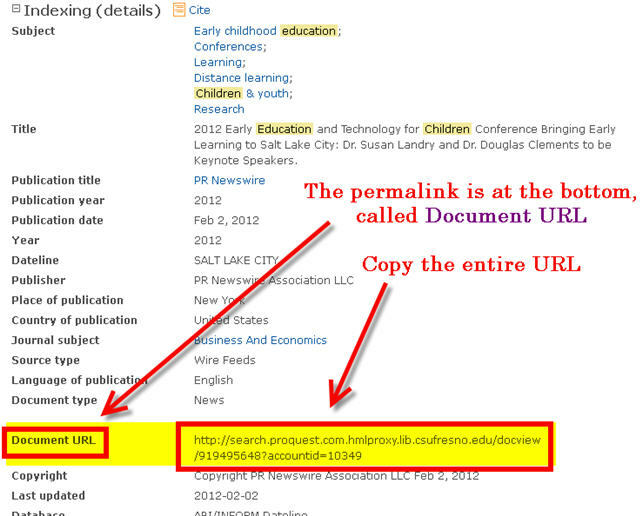 Also permalinks are used to help track statistics. Usage statistics help the Library to purchase the right resources for you. How do I know if a permalink will work from off campus? When on campus, access is transparent -- you are being authenticated even if you don't realize it because we recognize the IP address. When off campus, authentication via a proxy server, allows us to recognize and authenticate Fresno State Library users. 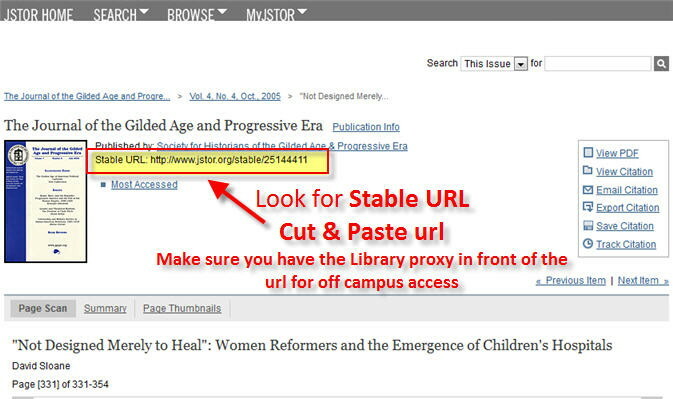 Note: VERY IMPORTANT -- In order for a link to an article to work from off campus, it must contain the library's proxy in the URL or web address. What does the Library Proxy look like?